Rourkela: A cocktail of green tea, soy protein and bacteria extracted from curd may help combat high blood pressure and cholesterol. Laboratory studies by scientists at the National Institute of Technology( NIT), Rourkela have suggested. The researchers say their studies have shown that the curd bacteria can reduce cholesterol levels and suppress a key enzyme that drives high blood pressure. They are yet to validate the finding through animal studies. In this matter Professor Rasu Jayabalan of Life Science department of NITR, who also led the study, says, ‘’ We are trying to identify the most promising among probiotics or health friendly bacteria. Our long term goal is to design natural products based on probiotics that could substitute for statins. Probiotics are naturally occurring microorganisms such as certain gut bacteria, including Lactobacillus acidophilus, long known to have beneficial effects on the digestive system. But medical researchers across the world have also been exploring probiotics role in fortifying the immune system, fighting and correcting the adverse effects of antibiotics. Researchers at McGill University Canada who have worked on this probiotic for the past 12years showed last year that a yogurt formulation loaded with this bacteria is safe and effective in lowering cholesterol. 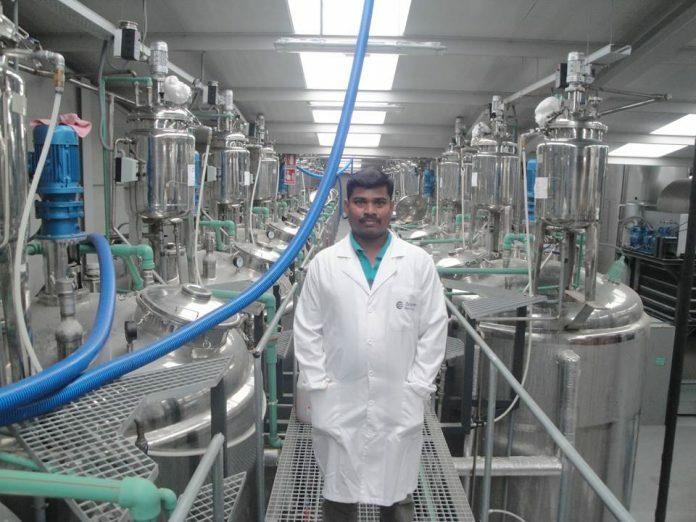 Jaybalan and his team decided to create a single ‘nutrition packed functional food’ that would combine the benefits from probiotics curd, anti-oxidants from green tea and protein subunits from soy. Their findings have been published in the journal Food Chemistry. The NIT researchers have also shown that the soy fortified green tea curd serve an effective carrier to probiotics in sufficient amounts and stored at 4 degrees Celsius. But on the 21st day, their studies show, there was a six-fold drop in the probiotic content of the product. ‘’We are hoping such natural products, along with healthy balanced diet, will eliminate or at least reduce the need for medical therapy’’, said Jayabalan. Research scholar Sahoo Moumita, Bhaskar Das, Archana Sundarary, physician Sanghamitra Satpathi worked on the project with professor Jayabalan.